The field of computational design optimization has, during the last 15 years or so and particularly in the automotive and aeronautical industries, revolutionized the design process of advanced components. In particular, the technique of topology optimization makes it possible for a computer algorithm to find the optimal configuration of a structure build from to hundreds of millions (the record 2016 is around 1 billion!) of small pixels (2D) or voxels (3D). So far, the aim has usually been to find structures that are optimized with respect to mechanical properties such as stiffness and weight. 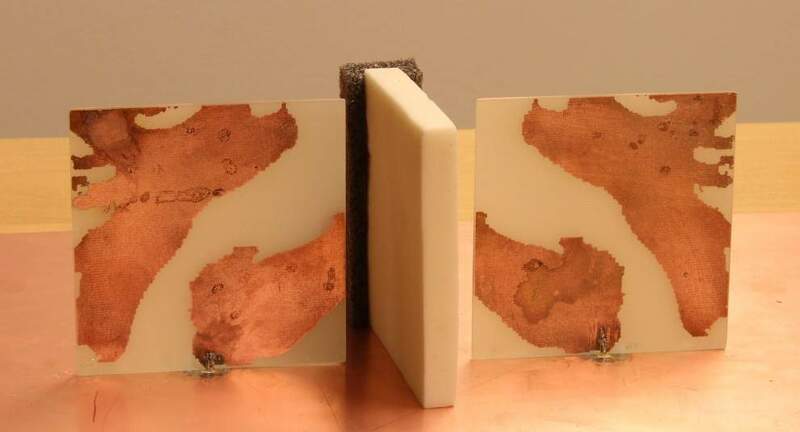 Much less development has been carried out for electromagnetic components, and these methods were almost unused for such applications before the start of the project. 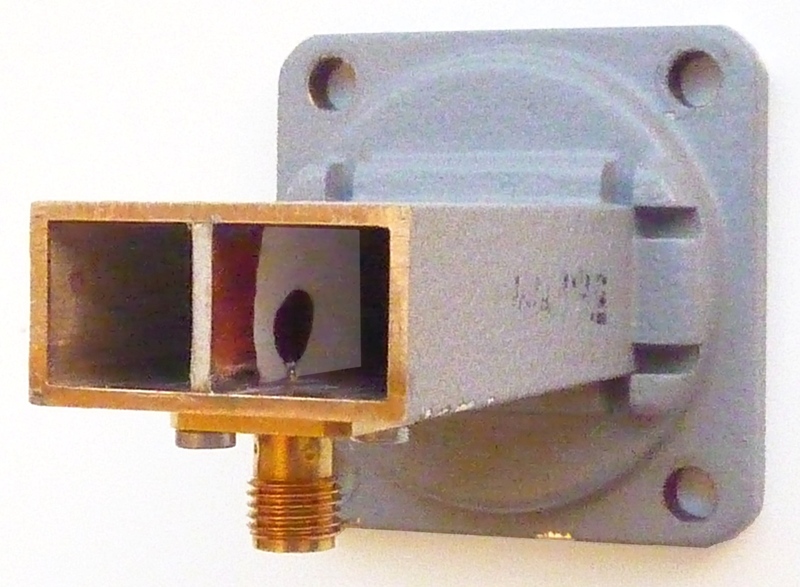 Prototype of a single-layer directional monopole antenna designed, by topology optimization, for nearfield sensing. The middle structure is a phantom representing biological material. The aim of the project is to change the way that high-performance electromagnetic devices are designed, in order to simplify the design of existing components, improve their performance, and develop new types of devices for applications such as sensing and communication. We combine computer simulations of the underlying mathematical model with large-scale gradient-based optimization techniques in order to determine the material composition of the device subject to design. The resulting software is implemented to run on modern high-performance computing platforms such as Graphics Processing Unit (GPU) clusters. We consider mostly density-based topology optimization methods. In these, each material point is subject to design, which means that conceptual designs are possible if the number of points is large enough. In order to tailor the methods to the design of metallic devices, we employ methods similar to the ones used in image processing such as linear and nonlinear (morphology-like) filters. Another important component is the systematic use of so-called continuation procedures, in order to guide the optimization algorithms towards local optima with good performance and to achieve control over geometric properties of the final design such as feature size. 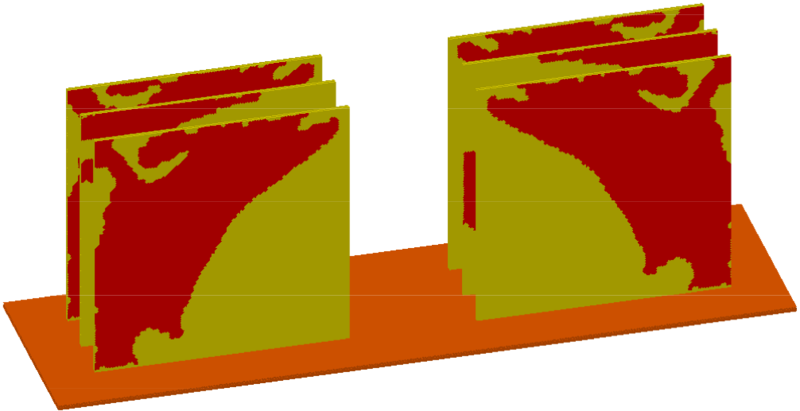 A broadband transitional element between a coaxial cable and a rectangular waveguide, designed by topology optimization. Department of Computing Science, Umeå University. Cooperation with researchers at the Solid State Electronics division of the Department of Engineering Sciences at Uppsala University. (Robin Augustine, Anders Rydberg). Cooperation also with Valutec AB, Skellefteå. A start-up company has formed, Optimonde AB. Hassan, D. Noreland, E. Wadbro, and M. Berggren. 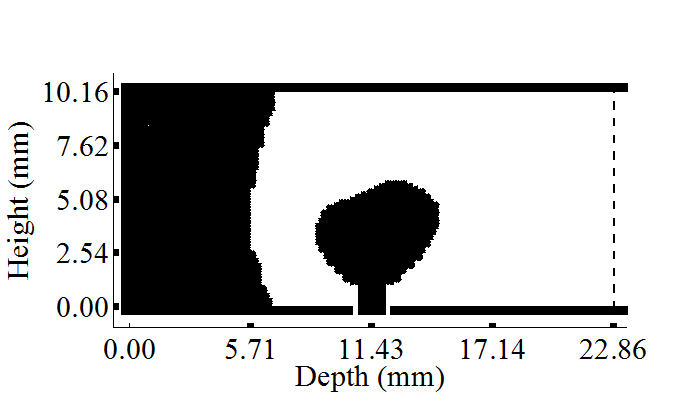 Topology optimization of coaxial-to-waveguide transitions. In review, 2016.